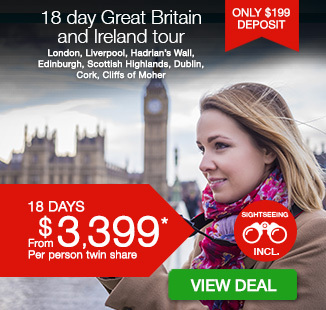 18 day Great Britain and Ireland tour with Contiki, including breakfast daily, accommodation, escorted tour guide throughout, dedicated, air-conditioned transportation, in-depth sightseeing and more. Hello Poppet! Welcome to England and your 20 day Great Britain and Ireland tour. 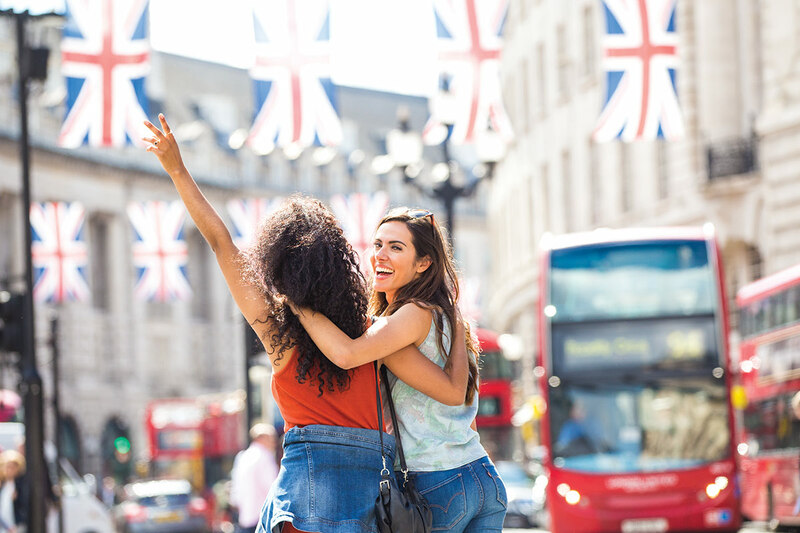 Get ready for a whole lot of the Beatles, Big Ben and Buckingham Palace as you spend time exploring beautiful London and Liverpool. Amble your way through the narrow lanes of York as you embrace its fascinating 2000 year old history. 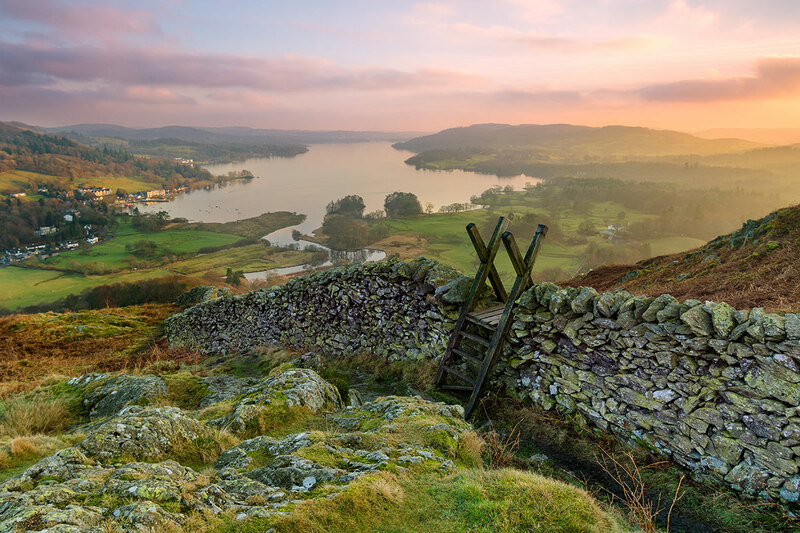 Endless green hills, serene lakes and streets of stone homes is what makes our next stop of the Lake District so picturesque. Explore the wedding hotspot of Gretna Green and the impressive Hadrian’s Wall, before arriving in the city of Edinburgh. Wander the impressive castle walls, watch a traditional bagpiper do his thing or muster up the courage and bravery to be a real Scot and take on the mighty flavours of Haggis. It’s time to tee-off nice and early for your drive to the birthplace of golf, St. Andrews. Venture through the Scottish Islands on your way to spot ‘Nessie’ at Loch Ness. 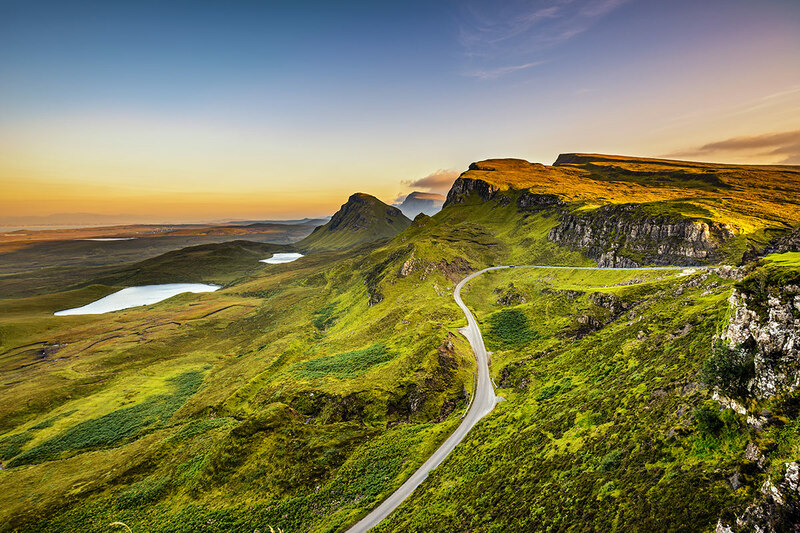 Experience the Isle of Skye and journey through the rugged landscape of the West Highlands on your way to Stirling. 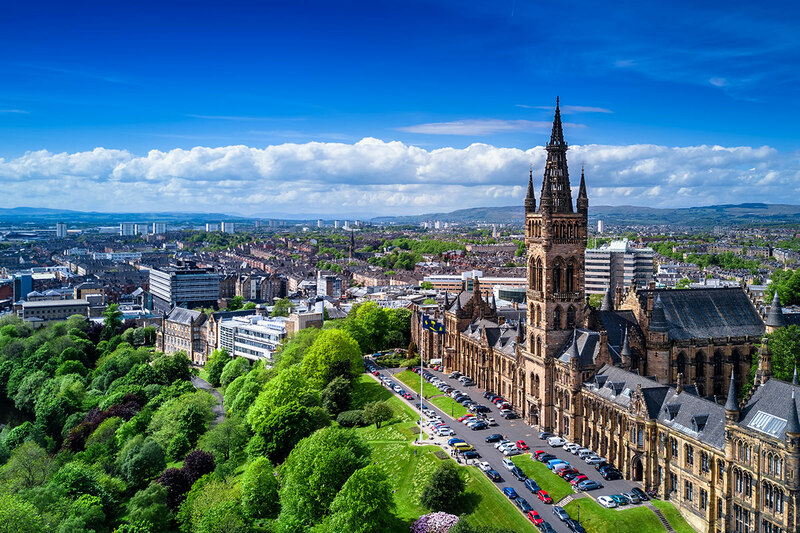 Discover the city of Glasgow, before waving Scotland goodbye and saying ‘top of the morning to ya’ as you arrive in the Irish capital of Dublin. Test your all important alcohol knowledge as you visit the towns of Kilkenny and Cork and pucker up as you kiss the famous Blarney stone. 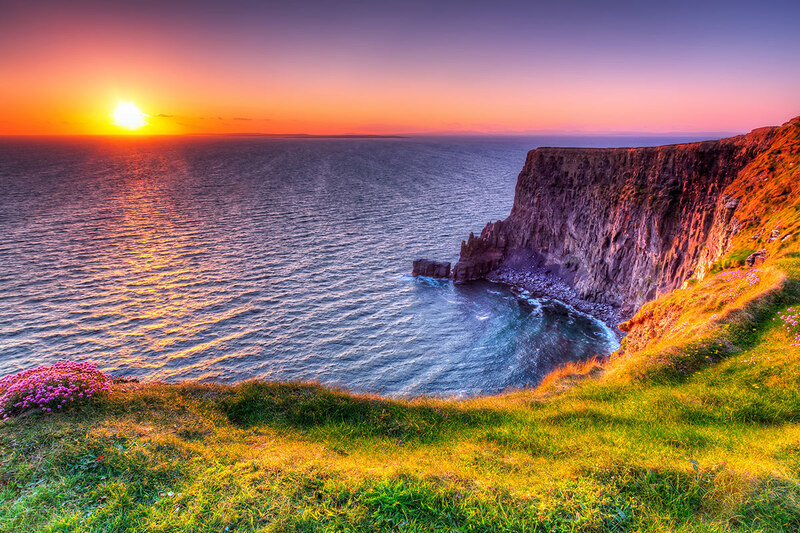 Fall in love with everything Irish in the small city of Galway, before taking some insta worthy pics at the Giant’s Causeway. End your adventure in beautiful Belfast, pondering why Rose didn’t realise there was enough room on that door for both Jack and her, at the famous Titanic museum. Welcome to England! Arrive at Heathrow International Airport and make your way to the hotel. 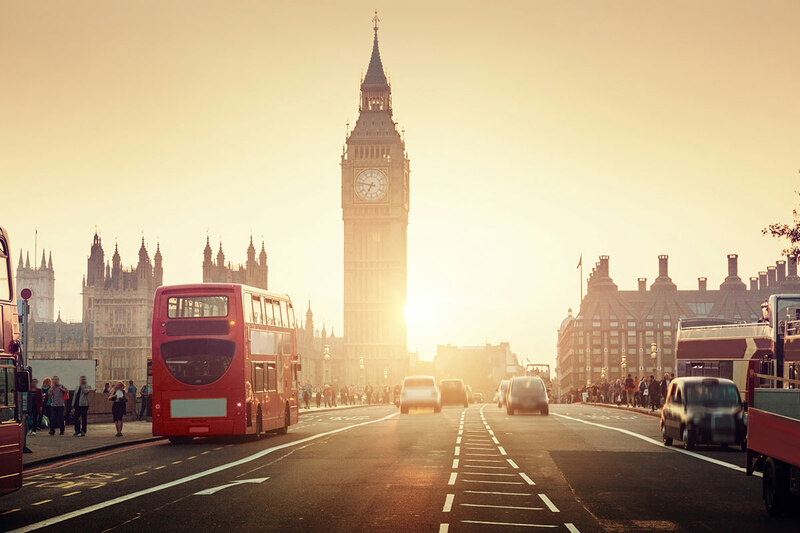 With so much going on in London, why not check it out for yourself? We suggest you hop on a typical open top bus and explore the city’s many attractions at your leisure. Good morning dear Londonites! And welcome to your 16-day deep dive into all things Great Britain & Ireland. Big things are just around the corner. So big we’ve nicknamed one of them Big Ben. 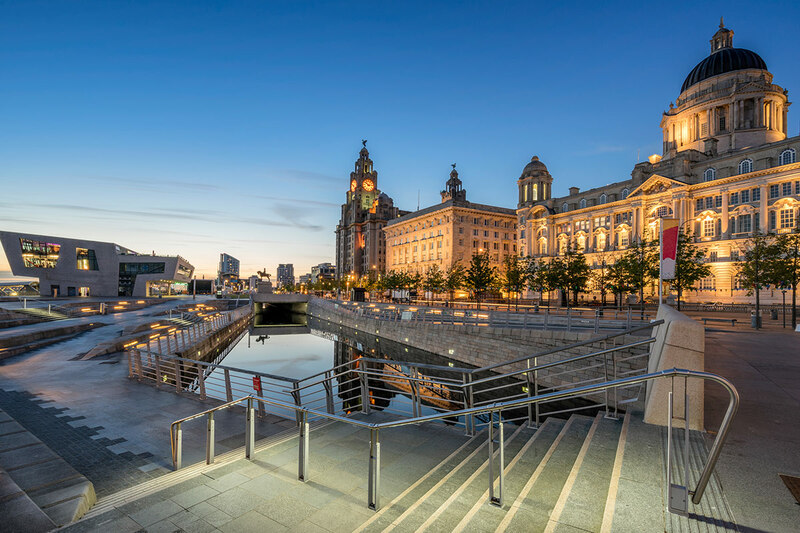 Chat all things Beatlemania & football in your best Scouse accent – this is the call of the day as we pull up in lively Liverpool. Lap up your last dose of Liverpool before we embark on a wild countryside journey in the traditional walled city of York. 2,000 years of history will unfold upon us as we amble down narrow lanes exploring York Minister, the Shambles and Clifford’s Tower. For fans of folklore, sign up to a night of ghostly horrors and dark alley ways & prepare to be spooked. 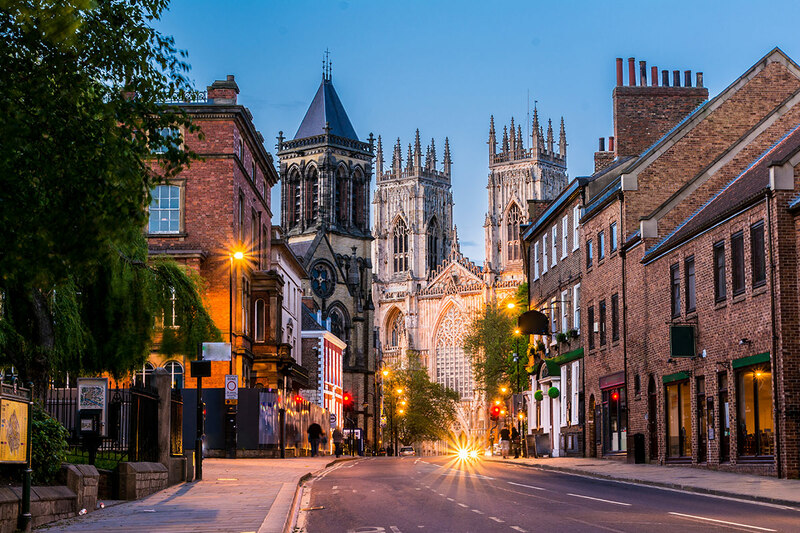 Even if the ghosts of York kept you awake all night, you’re going to need to rise and shine and wave goodbye to the Harry Potter like setting of this ancient city. Whatever you do, don’t Google this place before we arrive. It will spoil the surprise of its unfathomable beauty. Endless green hills, 16 serene lakes & streets of stone homes will have you pining for the country life. Today we are in for some border hopping along the English/Scottish border to see the sights on our way to Edinburgh! Shortly after our first border hop into Scotland we’ll be in a world of fairytale cuteness at the wedding hotspot of Gretna Green. An old blacksmith’s shop & a kissing gate are all part of the story (for winter departures we will visit Gretna Green on Day 3). 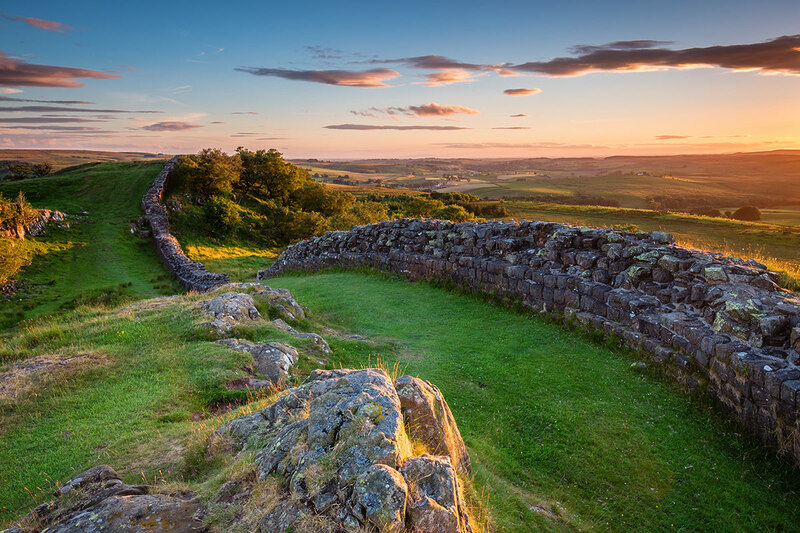 Back over the border to take in a spectacular drive this morning to the Roman Empire’s impressive Hadrian’s Wall as well as English country charm in abundance. 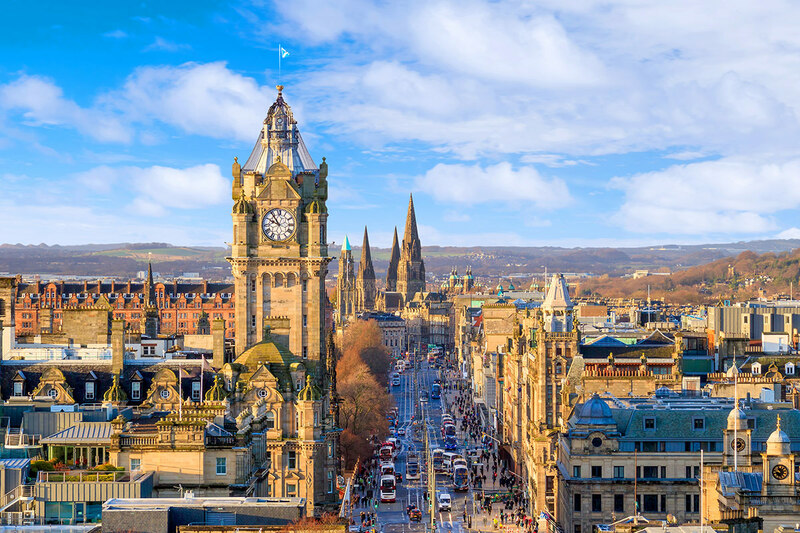 Back in the 21st Century we’ll find ourselves in Edinburgh, a city that, although still simmering in ancient history, comes alive with music festivals, a rousing creative scene & fun bars. Top the day off with a Scottish meal, complete with haggis and a traditional bagpiper. Wake from your fried chocolate food coma crazy travellers, it’s time to blaze a trail out of Edinburgh & head for the Scottish Highlands. On the way to the main affair of the day we’ll stop by St. Andrews, the birthplace of golf, would you believe? As well as Scotland’s oldest university town. 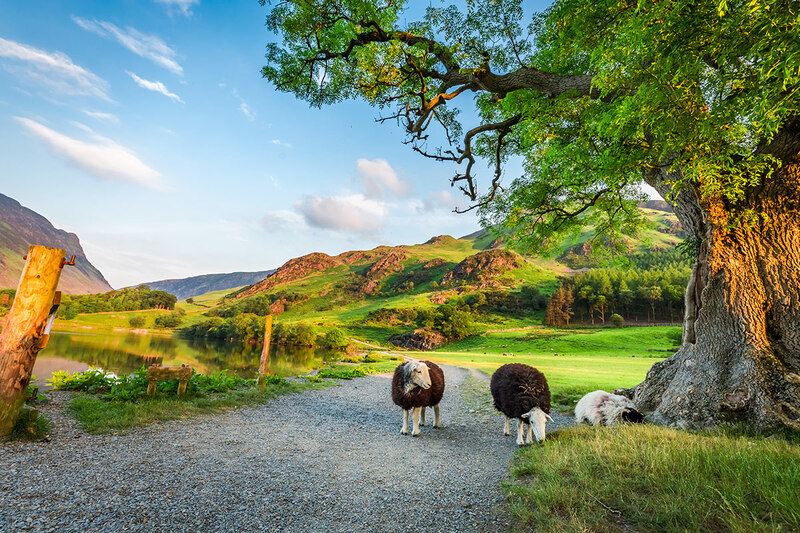 Already blown away by the beauty of the rugged mountain scenery en route, we’ll arrive in the Scottish Highlands amped up for mystical tales and a lake cruise on Loch Ness. We might be coming down from a high (geographically speaking) this morning, but as we seek out the stunning Isle of Skye, the mood will only be rising. Time to explore an island famed for its pastel houses that fringe the coastline like a giant selection of marshmallows. We’ll look around a fishing port and the seaside town of Portree, all the while learning how people live in this dramatic environment. Before the day’s out we’ll set our eyes on Britain’s highest mountain. Whether capped by snow or overflowing with green, it’s sure to take your breath away & leave you more than content with your day’s discoveries. After a few days of remote and rugged goodness, a change of pace in Scotland’s biggest city is sure to fire things up a notch. 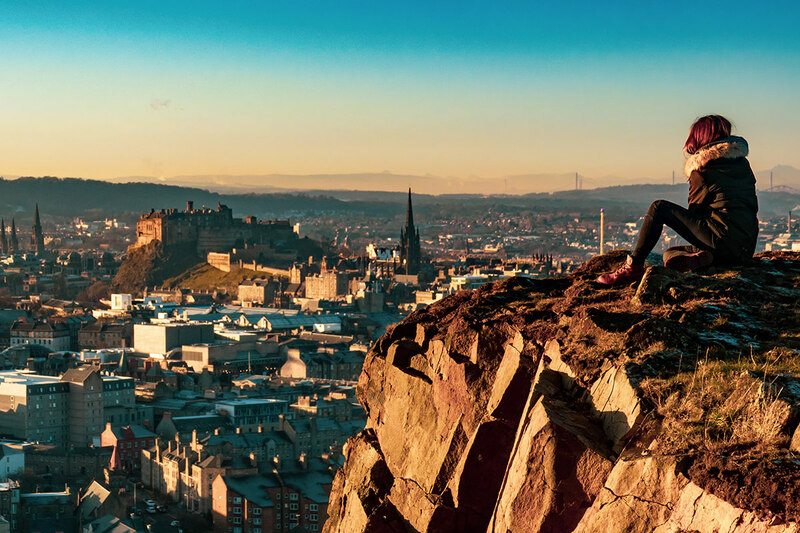 We make a stop in Stirling, known for it’s famous Castle nestled right on a hill, and the town where William Wallace took on the English and yelled “Freeeedom!” Get involved with everything great about Glasgow. Live music on every corner, a gothic cathedral & plenty of quirky characters make this city unique. Scotland, you’ve been unreal. If Ireland puts on half the show you did, we have many happy days ahead of us. We arrive in the port town of Larne, your first steps on Northern Irish soil, but not for long… So much more than the capital city, Dublin is a place of heritage, character, and more cute pubs than you could crawl in a week. End the day with a lively night of festivities at the cobbled lanes of Temple Bar. That’s us done with Dublin…for now. But fear not Dub-lovers, we’ll get another taste of this fine place before our trip comes to an end. Break up your coach hangs with some bicycle time in a village sure to leave you wanting Irish in your blood. It’s a castle, a cathedral & mountains of medieval charm before we hit the road again for Cork.Welcome to vibrant Cork! But not before the chance to sample some of Ireland’s famous whiskey at the Jameson’s Distillery in Middleton. Yum! Even when the skies are grey, Cork is covered in colour and good vibes. Stroll the River Lee or grab your first Guinness in the comfort of a pub, if you didn’t get your hands on one in Dublin. Hopefully you exhausted all of your cork puns yesterday, as today we are moving on, sightseeing our way to 2-nights in Galway. Irish folklore tells us there’s a chunk of limestone built into a castle that grants its kissers the gift of the gab. Pucker up kids, we’re paying her a visit! If heights aren’t your cup of English Breakfast, you best sit this one out. Spine tingling, nail biting cliff faces are there to tremble at for those without fear. From the moment we arrive in Galway, you’ll understand why 2-nights were needed here. Everything you’ve dreamed Ireland to be is tucked into this small, atmospheric city. Step into a local pub and down Irish stew over live music and chats with locals. Outside will be just as lively, with buskers & colourful buildings lining the streets. Try your tongue at some Gaelic and carry on exploring gorgeous Galway. Or, if you hear the call of the wild, you can sign yourself up to a ferry ride to Aran Islands (summer departures only) where you can dance around with horses and take a bike ride around the picturesque farms, or head up to Dún Aonghasa (the ruins of a prehistoric fortress) – make sure you take photos, this area is not for the faint-hearted! Irish life, you so sweet. Goodbye Galway, hello more Irish eye-candy. Today we continue on towards to Londonderry. Here in Londonderry, 17th century walls stand at 8 metres high speaking of times gone by when this area was in battle. Times may have changed, but we’re still keen to soak up the history and learn a thing or two from our wise Local Guide. Laters Londonderry, we’ve got a one way ticket to Belfast and a whole lot more exploration to do. 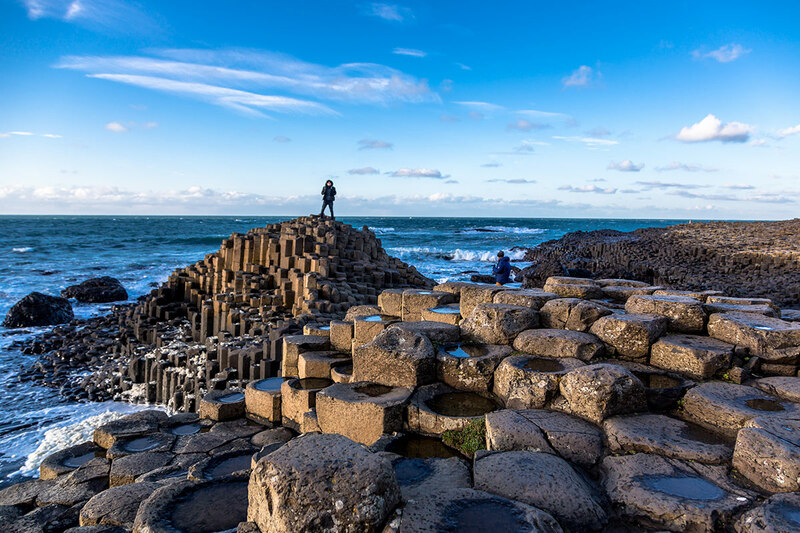 UNESCO World Heritage site of the Giant’s Causeway – also known as those giant rock columns you’ve probably drooled over on Pinterest needs to be seen to be believed. Get those hashtags ready, a snap with the group is essential on the mind-blowing natural formation. Next up – we’ll arrive in Belfast. Concluding the day will be a driving tour and a trip to the Titanic museum where parts of the world’s most famous ship can be seen. With one night left in Ireland and on tour, we’re on the fast track to Dublin where our Irish fairytale first began. A promise is a promise. Here we are back in the city that started our Ireland infatuations. Use this second stint to do your missed critical activities such as visiting the Guinness Storehouse where you can learn how to pull a pint the Irish way. We leave Ireland today with leprechauns in our hearts and memories in our souls. Enjoy the roll back to London town as it will be the last bout our crew has together. We’ve crossed the Irish Sea, motored through Wales, passed the town of try-to-say-it-out-loud Llanfairpwllgwyngyll, and now we are back in London for your last night. That’s all folks! Pass the tissues, say your goodbyes, and make plans for your next adventure. Unless, of course, there’s talk of a reunion tour. Greek Islands, anyone? Depart Australia today to begin your journey of Italy. We leave Ireland today with leprechauns in our hearts and memories in our souls. Enjoy the roll back to London town as it will be the last bout our crew has together. We’ve crossed the Irish Sea, motored through Wales, passed the town of try-to-say-it-out-loud Llanfairpwllgwyngyll, and now we are back in London for your last night. That’s all folks! Pass the tissues, say your goodbyes, and make plans for your next adventure. Unless, of course, there’s talk of a reunion tour. Greek Islands, anyone? Make your way to the airport for your homeward flight. 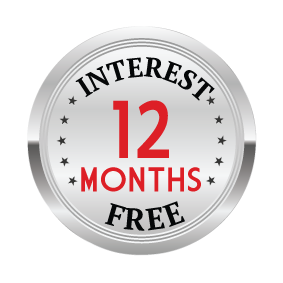 A deposit of $199/$699 per person plus any applicable surcharges are due at the time of purchase in order to secure your date. Cosy twin share accommodation in quaint hotels in enviable locations everywhere we visit.